We are thrilled to launch this section of The Psychologist, where we will give space to new talent and original perspectives. Now we need to hear from you, your colleagues, your students, etc. We are looking for sole-authored pieces by those who have not had a full article published in The Psychologist before. The only other criteria will be that the articles should engage and inform our large and diverse audience, be written exclusively for The Psychologist, and be no more than 1800 words. The successful authors will reach an audience of 48,000 psychologists in print, and many more online. And as if that wasn’t enough, the best contributors to ‘New voices’ will receive free membership of the Society for a year. So get writing! Discuss ideas or submit your work to [email protected]. And if you know someone who would be ideal for ‘New voices’, do let us know. do to secure a job? What are my job opportunities? 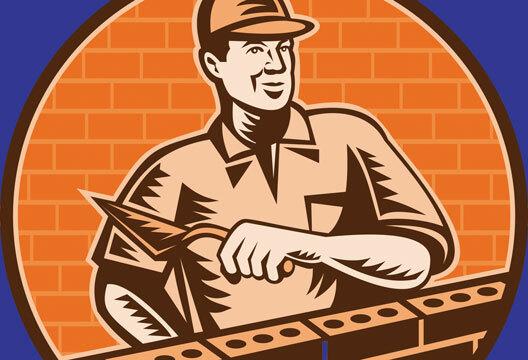 As a psychological researcher, will I work as a builder or as a brick maker? My main purpose here is to promote reflection on how this context can affect the way students in psychology conduct research. Perhaps reflecting on this will ultimately help us to conduct research of better quality. In Forscher’s (1963) metaphor of scientific research this activity was originally carried out by builders (scientists), who, guided by a blueprint (theory), constructed edifices (explanations) by assembling bricks (facts). Because making bricks for edifices was difficult and time-consuming a new profession emerged; that of the brick maker (young scientist). This new arrangement was very efficient for some time and those brick makers who had great ideas and worked hard became builders eventually. However, things changed drastically when the ultimate goal became bricks and not edifices. In Forscher’s view this was partly due to careless training; brick makers came to believe that producing a large number of bricks was the same as building an edifice. As competition grew, brick makers produced more and more bricks ahead of time; now guided by tradition and expediency rather than by blueprints and creativity. Numerous storage places (journals) were needed to organise the mass production. The land soon became flooded with bricks. Over time, a pile of bricks became undistinguishable from an edifice. In Forscher’s (1963) metaphor the decline of the builder and the rise of the brick maker was precipitated by careless training. However, I believe that there was, and there still is, a matter of personal decision by the brick maker. In my view, training as a psychological researcher is an active rather than a passive enterprise. We shape our training; we are able to decide whether we want to make bricks for piles or bricks for edifices. Recognising that training as a psychological researcher is an active enterprise is crucial for reflection; we leave our comfortable seats as observers of the play and take a major role in it. It is also crucial for reflection that we recognise that builders are not an extinct species from which we, the newcomers, inherited the most creative and audacious genes. Builders still exist and we can learn from them directly (in the school corridor, meetings, conferences), indirectly (by reading their work) or, perhaps better, in both forms. As research students we are at an ideal stage of our careers to reflect on how to do research, because we are still developing skills and consolidating habits; perhaps omissions made at this stage will be more difficult to correct later on. Let us take advantage of this stage; let us think about how we go and do research when we hear or read that, without a suitable number of published papers, it will be more difficult to secure a job. The aim of this reflection is not to stop us from publishing; it is vital for science that we publish, because, among other things, this creates and disseminates knowledge (Jacks, 1961). Instead, we need to create awareness of how a very competitive context can influence our activities as researchers. I believe that this awareness will enable us to conduct research of better quality – true edifices. Here I propose three areas to reflect on: what we investigate, how we investigate at the individual level, and how we write about our investigations. Research students who have published papers before completing their thesis have recommended doing so because it can be useful when applying for a job (Hartley & Betts, 2009). A job can provide the resources (e.g. food) to sustain a living. If a lack of resources can destabilise governments to the point of bringing down global civilisation (Brown, 2009), are we unwilling to accept a slight rush to publish more so we can secure a job and, thus, sustain a living? In such a context, tradition and expediency rather than novel ideas – as in Forscher’s (1963) metaphor – could be guiding our research. We may be compelled – perhaps without noticing it – to investigate topics that fit smoothly, almost perfectly, with current ideas; topics that are believed to be well received by the editors. As a consequence, we may lose sight of other topics that, despite having social relevance, remain buried in our desks because they seem of low publishable value. Without being aware of it, we could be sustaining a set of ideas and beliefs in society that are beneficial to a few (those who already have more benefits), but are detrimental to others (those who already have more problems) (Prilleltensky, 1989). Perhaps if we reflect more on how the context can influence what we investigate we would be in a better position to construct edifices for, and with, those citizens who need them most. How we investigate at the individual level is perhaps more clearly shown in those private and intimate moments when we are sitting in front of our desks, taking important decisions about our research. Although private and intimate, those moments may still be influenced by the context. Reflection at this level needs, in my view, sincerity at its utmost. The idea that the researcher is not a passive observer of Nature but is an active one that expresses its subjectivity in the process is perhaps becoming an old-fashioned idea among us, the newcomers. An idea we might interpret as so obvious, so overworked, that thinking about it seems a waste of time. I am not proposing here the return of the toga and heated discussions in public plazas. I am proposing greater awareness of how our hypotheses and designs coexist with our values, beliefs and desires. One of those beliefs could be that our career as a researcher is at stake without an impressive publication record. Perhaps if we acknowledge that as active observers of Nature we can love our hypothesis as a parent loves a child (Chamberlin, 1897), we would be in a better position to consider alternative explanations of our findings. Perhaps if we ask ourselves what experiment could disprove our hypothesis (Platt, 1964) as often as we are compelled to check our e-mail, we would be in a better position to design more novel studies. A call has been made to reflect our imagination, excitement, personal choices and, ultimately, our humanity, in the scientific paper (Webster, 2003). This call comes from the soil sciences but, in my view, psychology is the place where it could reverberate more. Psychology is the discipline that deals more directly with our humanity. When we write about our investigations – usually in the form of a scientific paper – it is common to adopt an automaton style; full of jargon, acronyms and convolutions. Perhaps we believe that with this style our paper looks more ‘scientific’ and, thus, more attractive to editors. However, editors of scientific journals usually prefer a style that is ‘direct, light and simple’ (Webster, 1990, p.6). I am not proposing that our papers resemble personal diaries or love letters. Rather I am proposing to rest the jargon, acronyms and convolutions so we can write as we speak; as if we were writing to our grandmother (Bem, 2004). This is as an act of true care for the reader (Strunk & White, 2000) – who is trying to make sense of the world, as we all are – not as an act of true pity. Perhaps if we let our humanity breathe through the scientific paper we would be in a better position to communicate discoveries that make more sense. If our scientific context had a slogan it could be: ‘Publish more, live more’. In such a context, research students in psychology may focus on publishing more and more isolated facts (bricks) rather than on attempting to construct explanations of Nature (edifices). Reflection can help us to decide whether we want to make only bricks or construct edifices. Because we play an active role in our training we are able to shape it, and we can do this with the help of more experienced scientists (builders). This is the ideal stage of our career for reflecting on this because we are still building skills and habits. Reflecting more on how the context influences what we investigate may help us to pay more attention to research topics that promote social change and include marginalised groups in mainstream research. Reflecting more on how the context influences how we conduct research at the individual level may help us to design sound and novel studies. Reflecting more on how the context influences how we write about our investigations may help us to write scientific papers that make more sense. All in all, reflection would not stop us from publishing (which is vital for science). It would help us to construct true edifices.